The data presented in this record comes from the Generation 2010 survey at 3 and 5 years. The data were collected from 33,500 young people in spring 2013 and 13,700 young people in spring 2015, representing the 708,000 young people who left the education system in 2010. The Céreq Generation surveys are carried out every 3 years on cohorts of education system leavers, but also at 5 and 7 years, on every other generation (e.g. Generation 2004 and Generation 2010). 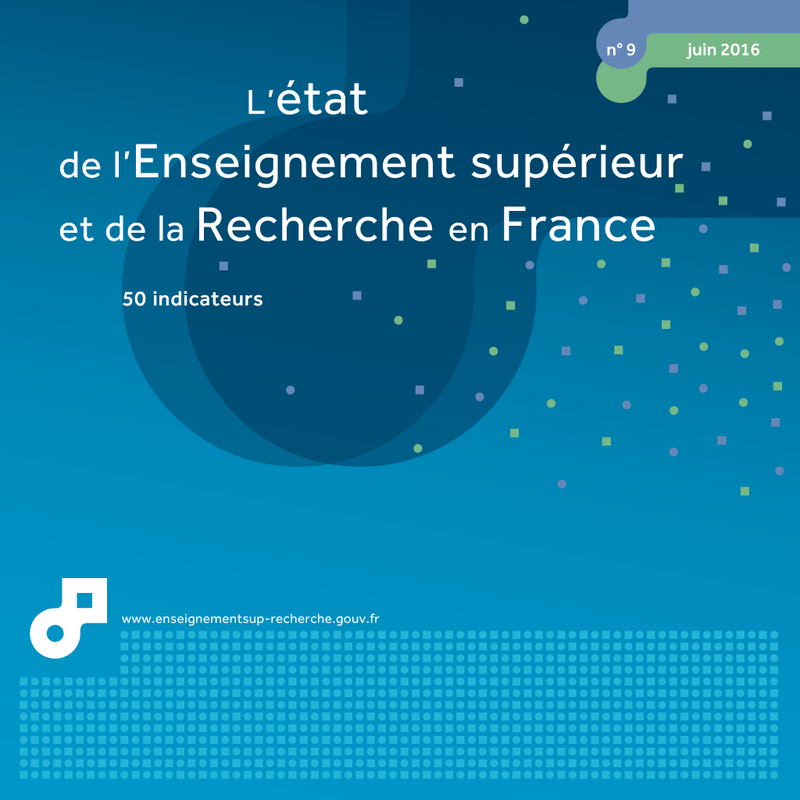 The scope of the survey includes all young people leaving the education system for the first time in 2010, aged under 35, of French or foreign nationality and enrolled in an educational institution during the 2009-10 academic year in mainland France and the overseas departments. Young people who interrupted their studies for a period equal to or more than one year (except for health reasons) are excluded from the scope, as are young people who resumed their studies the year after entering the job market. 9% of young people who left higher education in 2010 were unemployed in 2015, down by 4 points compared to 2013. But the background of the crisis has marked this Generation 2010, whose integration conditions are less favourable than those experienced by their predecessors in Generation 2004. At the same time, their working conditions have not improved much. In 2015, the employment rate of higher education leavers in 2010 increased by 7 points (85%) compared to its 2013 level. In addition to the fall in unemployment, the rate of resuming studies or returning to education fell by 2 points in 2015 (5%) (table 24.01). In 2015, the integration conditions for young people leaving higher education in 2010 were still very unequal according to the level at which they left education, but also according to the discipline and course specialism. These inequalities between levels compared to previous generations, which increased in 2013, settled down overall in 2015 to reach a comparable level. Employment conditions have in fact changed little since 2013. The permanent contract employment rate increased by 2 points (75%) but this rise was totally attributable to the increase in unwaged employment, whereas the rates of permanent employment rates and civil servants levelled out (table 24.02). The share of part-time employment was 9%, falling by 2 points since 2013. Despite a significant fall in their unemployment rate between 2013 and 2015, the situation of young people leaving education without a higher education qualification in 2010 was the most difficult. The unemployment rate for young people leaving without a qualification from short-cycle vocational courses after 5 years (14%) is for example higher than that of their counterparts in Generation 2004 after 3 years. In addition, only 1 young person in 2 leaving without a qualification from a general course was in stable employment in 2015. At Bac +2 level, the unemployment rate has fallen significantly since 2013 (-6 points), settling at 9% in 2015. It is above 10% for the BTS (advanced technician diploma) specialisms. In addition to a lower unemployment rate (7%), BTS graduates with an industrial specialism were still gaining more stable employment contracts in 2015, but the difference noted in 2013 has fallen significantly (8 points compared to 3 points in 2013). At Bachelor's degree level and after 5 years in work, graduates from vocational courses have maintained their advantage over their counterparts from general courses in terms of access to and stability in employment. The differences in these main indicators are largely unchanged in 2015, regardless of the unemployment rate (6% compared to 10%) or the permanent contract employment rate (80% compared to 74%) (table 24.02). However, general Bachelor's degree graduates have seen their employment rate increase spectacularly since 2013 (+15 points, 85%), mainly due to a fall in the proportion of young people resuming studies on the date of the survey (4% in 2015 compared to 15% in 2013). At Master's level, the unemployment rate of Master's graduates after 5 years was 7%, i.e. higher than that of their counterparts in Generation 2004 after 3 years, ranging from 5% in Economics-Management-Economic and Social Administration in 2015 to 10% in Arts, Humanities, Languages and Human Sciences. The unemployment rate among business school graduates in 2015 fell by half (4%) and is now closer to that of engineers (3%). Graduates from the Grandes Ecoles maintained their supremacy in terms of the share of permanent employment contracts, which accounted for 90% of the jobs concerned. Between three and five years of working life, the unemployment rate for PhD graduates fell by 2 points, rising to 4% for all PhDs combined (chapter 39). Overall, 75% of young people considered that their situation in 2015 suited them, but 21% were still anxious about their professional future (26% in 2013) (table 24.03). Although a large proportion of young people considered they were achieving their professional potential, more than one in four young people felt that their position was below their skills level. Finally, one in five young people in employment in 2015 were looking for another job. Extract from the chapter "24. the first five years' career experience of young people leaving higher education in 2010".